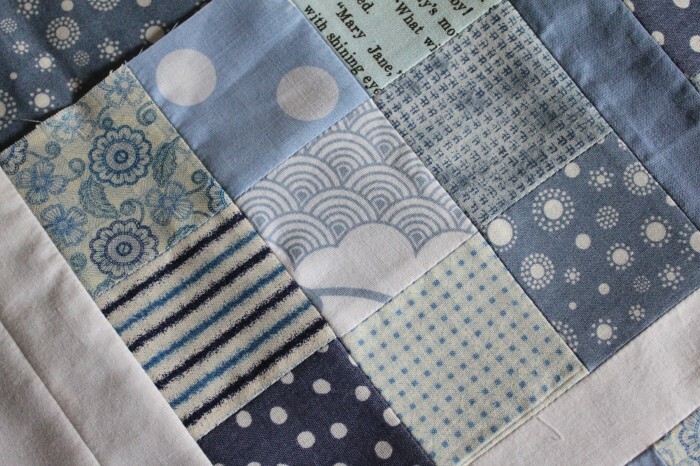 This time I chose blue – I took out all blue fabrics I have (a lot!) and then narrowed it down to 9. That was hard, but I just wanted a monochromatic look. This time I had a sketch of a design I wanted (inspired by a walkway to a house I saw last week – no picture though), even though some things changed as I was piecing the squares together. 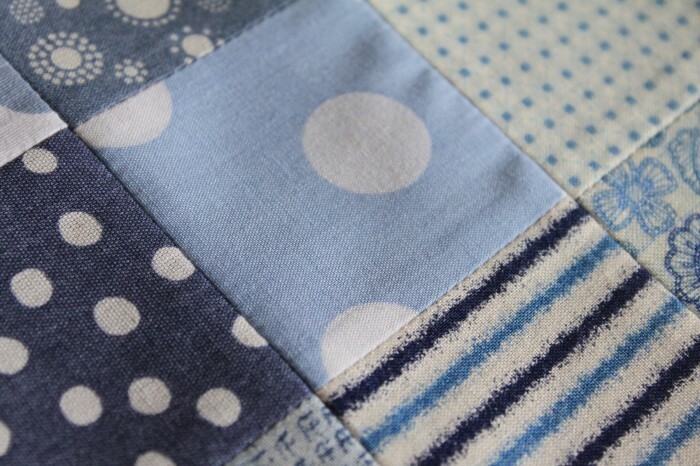 Most of the squares turned out good, with good to decent alignment but I did have to trim the finished squares because they came out a little wonky. 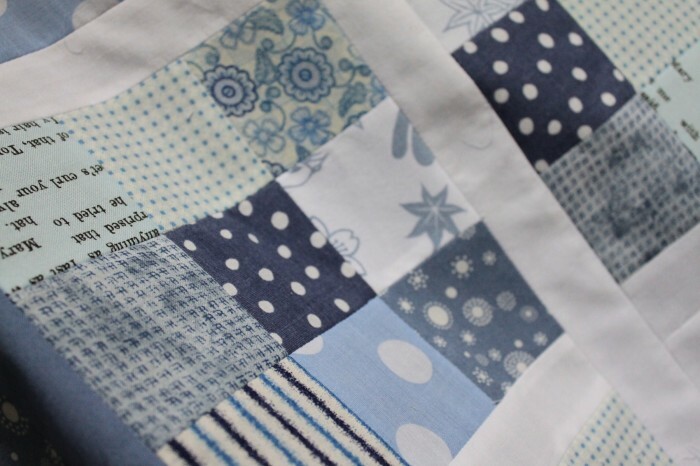 This entry was posted in fabrics, making, quilting, sewing and tagged only blue quilt on July 7, 2010 by flekka.